The National Executive Committee (NEC) of the African National Congress (ANC) met in an ordinary, scheduled meeting on the 27th to the 28th March 2015 at the Protea Hotel Breakwater Lodge, Cape Town. The NEC had detailed discussions on the two agenda items – the Political Overview delivered by the President and the report of the National Working Committee (NWC) to the NEC covering the period from January, 2015 to March 2015. The NEC meeting was also the first since the passing on of one of the members, Comrade Collins Chabane, who tragically left us on the 16th March 2015. A moment of silence was observed in his honour. The NEC will miss his incisive and productive contribution not only to the NEC but to the life of the ANC as a whole. The NEC meeting was taking place a few days after the reburial of stalwarts of our movement and founding fathers of our revolutionary Alliance, Comrades JB Marks and Moses Kotane. The NEC recommitted itself to emulating their legacy defined by values of selflessness, unity and cohesion across the Alliance. It further reaffirmed its commitment to full and urgent implementation of the decisions and policies of the organization to move both the ANC and South Africa forward. The NEC has called for ANC structures to support the Leagues in the preparations towards their Congresses with the intention of creating conducive environment for productive and robust debates that will produce vibrant organizational structures. The NEC views these National Congresses as opportunities for rebirth and renewal of the Leagues and strongly discourages excessive intervention and interference in the affairs of the Leagues by ANC structures. Due to the imminent Congresses/ Conferences of the Leagues, the NEC resolved to postpone the National General Council initially scheduled for the 26th – 29th June 2015 to the 9th – 12th October 2015. The NGC shall be an audit of the work done since the start of the term of this NEC in Mangaung in December 2012. It will assess whether we are on course in executing the mandate of conference and where do we need to work harder or increase our capacity and pace to deliver. The NEC received the report on the intervention being made in Nelson Mandela Bay region of the ANC. This included details on the dissolution of the REC and the appointment of the Regional Task Team convened by comrade Charles Nqakula. The new challenges that are emerging were also discussed. The Officials will visit the area soon to engage all the structures of the movement and the alliance to strengthen the intervention. On Mpumalanga, the NEC has condemned the actions of members of the ANC and the SACP who were involved in physical fights over who should address a SACP lecture in memory of Cde Joe Slovo. Notwithstanding the political engagement under way with comrades of the ANC and the SACP, the NEC reiterated the need for unity, cohesion and discipline across the mass democratic movement. The NEC emphasized the urgency of engaging the SACP bilaterally on the relationship of our structures in Mpumalanga and sub-national in general. The NEC welcomed the newly elected leadership of the North West Province following a successful Conference held in February 2015. The NEC further congratulated the Western Cape Province for the successful hosting of the 103rd Anniversary Celebrations in January, particularly ensuring that despite the challenges of organization in the province, 90% of those who attended the rally came from the province. Our appreciation goes to the masses of our people, who came from near and far, from all race groups and demonstrated the love people of the Western Cape have for the African National Congress. NEC further appreciated the support from the Bantu Christ Church, the Apostolic Church and the Cape Minstrels, amongst many other organized formations, during the January 8 Celebrations. 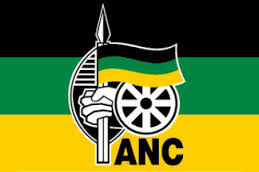 The allegations made that the Provincial Chairperson of the ANC in the Western Cape had promised monies to the Minstrels are extremely concerning, the NEC has called that these are followed up and resolved. The NEC has called upon the structures of the ANC in the Western Cape to build on the momentum of the January 8 Celebrations; consolidate our gains and close ranks against those who seek to drive a wedge of division among the black people in genera and between Africans and Coloureds in particular in that province. The NEC received a report on the work being done by the ANC Task Team established to support COSATU. The meeting reaffirmed its position that a strong and united COSATU is in the interest of the ANC and South Africa as whole. As such, while the Task Team will continue to facilitate dialogue between affiliates of COSATU, the resolution of the challenges facing COSATU rests with COSATU itself. The NEC further recommitted itself to working together with all components of the Alliance for unity and cohesion. The NEC supported President Zuma`s call for an Alliance Summit long enough to give the Alliance partners sufficient time to do detailed critical analysis of the challenges facing the alliance. The alliance remains the best placed to lead society in building a united, non-racial, non-sexist, democratic and prosperous South Africa. To this end, the Alliance owes it to the people of this country – past, present and future generations – to ensure that the Alliance remains intact and cohesive. The NEC noted with serious concern the developments in a number of institutions of state including Eskom, the SABC, the Hawks, the National prosecuting authority, and the IPID amongst others. Whilst the NEC believes that these developments have the potential to undermine the legitimacy and authority of the state in the minds of the public and negate the work of building of a developmental state with stability of leadership as one of its defining features; the NEC is confident that these matters are receiving the necessary and urgent attention from the ANC deployees in government. On Transformation of the institutions of higher education The National Executive Committee reflected on the recent wave of protests and calls by students at a number of institutions of higher learning for symbols of colonial oppression and apartheid to be dismantled. The NEC unequivocally supports these students in their determined demands for transformation at universities across the country. We appreciate that statues are mere symbols of our racist history and believe that the transformation needed must be concerned with entrenching fundamental and far-reaching structural, systematic and cultural change; reflective of the aspirations and realities of our democratic and non-racial order. The NEC believes that there can no longer be negotiation on transformation 20 years into democracy; transformation of our institutions must be a reality as a matter of urgency. As society discusses the slow pace of transformation the question of racial polarization must be factored in. The NEC has noted the work being done by the Commission led by the Deputy President of the ANC, Cde Cyril Ramaphosa, on the e-tolls. The NEC is of the view that there is now building of consensus amongst the divergent stakeholders on a number of issues and trust that this matter will soon be brought to finality. The ANC, nationally and in the province of Gauteng, will continue to engage to ensure that the final outcome is a reflection of the concerns of our people and a caring organization. In the same vein, the NEC resolved to continuously assess the impact our infrastructure build programme throughout the country. On Building a better Africa and a Better World The NEC sent its well wishes to the people and government of the Federal Republic of Nigeria for their General Election. The meeting further congratulated Kingdom of Lesotho for a free, fair and transparent election and congratulated the President and the Deputy President for a successful mission, which led to the reflection of the will of the people of that country in its outcome. A progressive internationalist organization, the ANC looks forward to hosting the Cuban Five later in the year. This visit follows their release from an American prison in December 2014 and is an expression of the strong bonds of solidarity between the Cuban and South African people. The ANC supports US President Obama`s appeal for Congress to lift the blockade against Cuba and intends to intensify calls for this demand as part of the celebrations of the Cuban Five. Congratulation to the sport teams. The NEC wishes to extend warm congratulations to the South African cricket team for its good performance in the world cup. Cricket South Africa must, however, pay urgent attention to the need for transformation. The only African player, Aaron Phangiso, in the team was the only player who was never given match time during the tournament. The fact that cricket South Africa is always having one African player at any given time is beginning to raise curiosity. We congratulate Bafana Bafana for the draw they played against Nigeria. The process of building the team must be supported by all South Africans. Mine is not a comment, i just want to know what to do especially if i want to receive the latest posts as well as some documents through my email address?